JG Ballard, Stephen Bayley and Talulah Blue came together on 13 September for a hot night in Peckham. 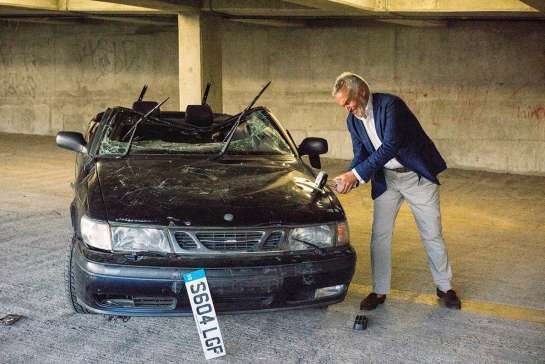 Stephen Bayley’s new book Death Drive was the catalyst for this extraordinary event – a recreation of Ballard’s 1970 exhibition, Crashed Cars. 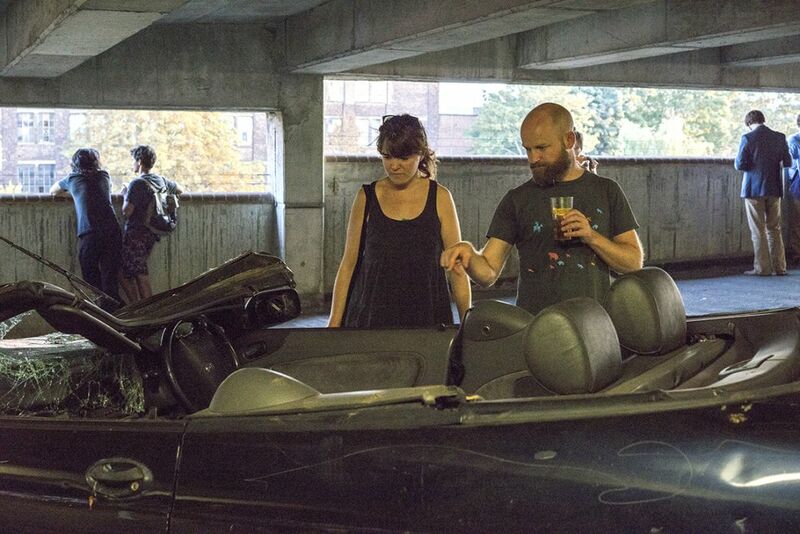 Three wrecks – a Saab Convertible, a Ford Fiesta and a VW Golf – found in a scrapyard in West Norwood, were artfully placed as defiled sculptural objects in the Brutalist landscape of Bold Tendencies’ Peckham Multi-Storey Car Park. Bayley channelled Ballard, inviting guests to defile the cars still further, ice-cold white wine was served by the gallon, and burlesque artist Talulah Blue lit up proceedings with her fabulous fire-eating act. Altogether unforgettable. For press enquiries please contact Clemency Christopherson at Belford Communications.